That time of year again where Autumnal food is creeping back into people's minds. Most BBQ's are being stored for winter (not mine) and being replaced with stews, casseroles and soups as the nights rapidly get earlier and earlier and the temperature drops. 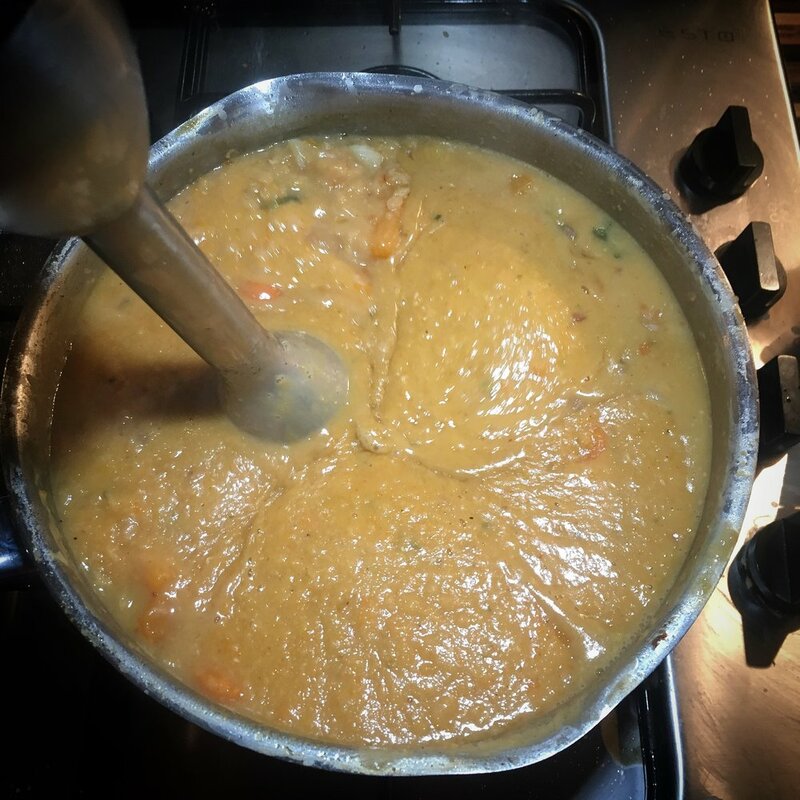 This soup is a slight variation on my mother's traditional lentil soup, a firm favourite when growing up and it remains so today especially when accompanied by a fresh crusty loaf with butter. Making soup is probably the easiest thing in the world as there are very few things that can go wrong so this method will be quick and simple. 1. Fry onions in 50g of butter for 5 minutes before adding the Worcestershire Sauce which will create an excellent flavour base for the soup. 2. Add the chopped celery and fry for a further 3 minutes. 3. Add the chopped carrot and squash, mix well and fry for 2 minutes. 5. Pour in the water about an inch above the ingredients. 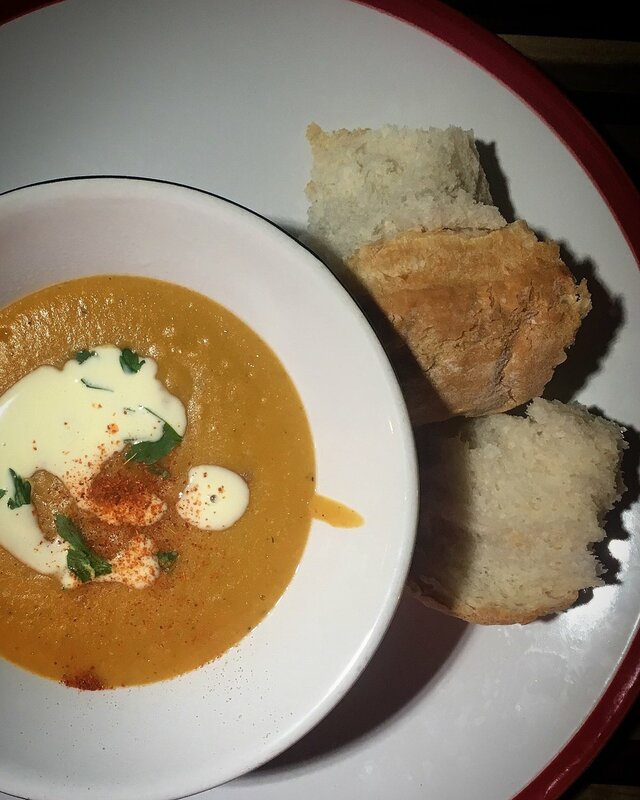 Serve with fresh crusty bread and garnish with some double cream, fresh parsley and chilli powder.